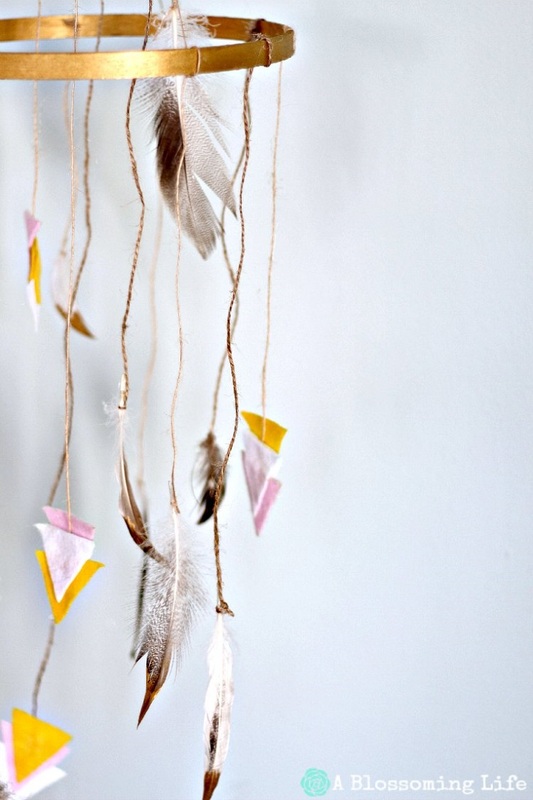 Feathers are very often used in many home decorations that you can make at home, without spending too much while still getting what you want. Store-bought items can cost a lot, so saving some money is welcomed, especially when at the same time you’re getting a new home decoration! 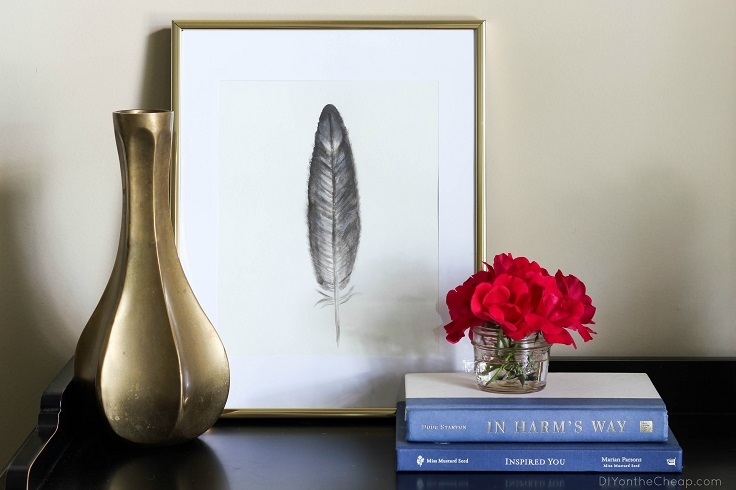 In this article you can see ten ideas on how you can use feathers or just get inspired by feathers and create your very own DIY project. Here you will find mostly home decor, but all of the ideas are equally unique and won’t be a hard task even for a DIY beginner – just have fun! Before you get all “no way” because you’re not an artist and you can’t draw or paint well, just know that this is the easiest art project you will even make in your life. It includes using watercolors and creating just one feather on a piece of canvas or watercolor paper. All you need is to just master few moves with the brush that will help you create the feather and that’s just it. Make sure to hang it in a beautiful frame! No matter if it’s your living room or office, wall hangings are such an amazing decor. They can add difference to the room’s look and make the wall appear less pale or empty. 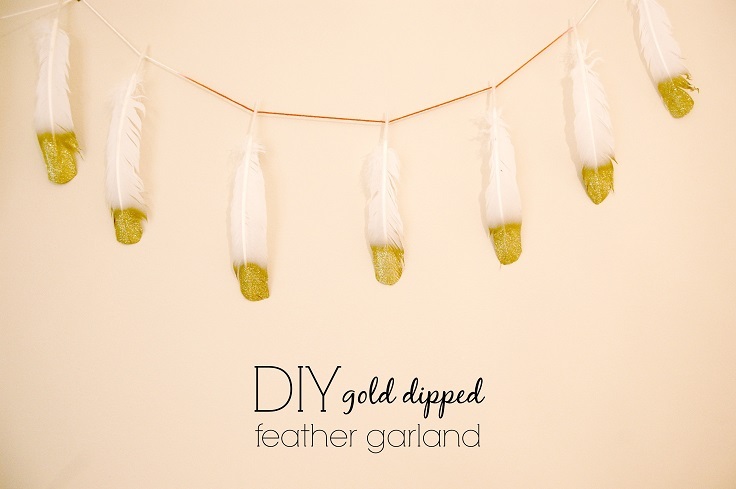 For this project, you need feathers, gold spray paint, suede lace, scissors and wood dowel. The result is more of a monochromatic decor rather than a colorful one, so you can completely take it to the office without worrying that it might be too much. Garlands look so nice and fun and they’re really a unique decor. When it comes to garlands, there are so many creative ways to make your own – from flowers to polaroid pictures, it offers plenty of possibilities. One of them is using feathers all the way! But, instead of leaving them just like that, spray them with gold spray paint and add extra glitter and you’ll see how awesome it looks! Creating arrows can be really fun because it includes playing with different textures and colors. It can be a great idea on including your children in the process of making – after all, family time is always welcomed, right? Not to mention that these arrows can do so well as a room decor. 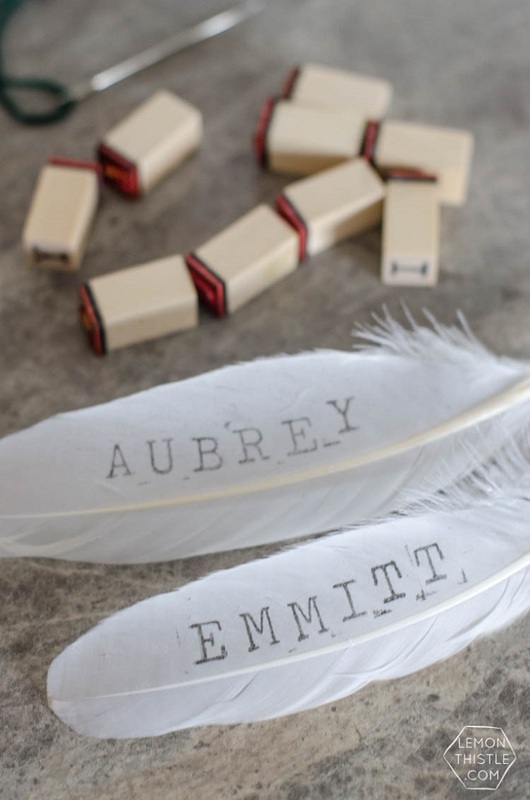 To create your own, you need feathers, dowel rod, card stock, craft paint, glue gun, hot glue, paint brush, leather cording, washi tape and scissors. 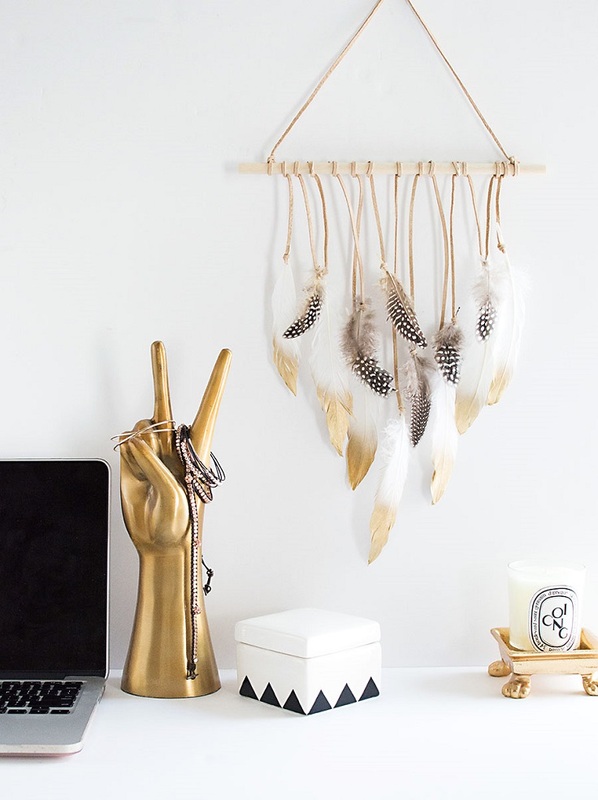 Once the dreamcatchers were used for the obvious reason, but today many people use them as a room decor and we can completely see why – they are unique and look really nice. 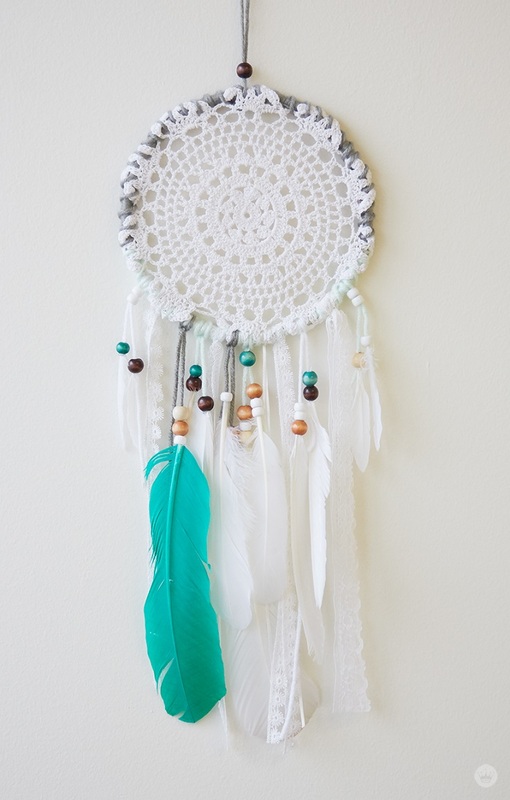 There are plenty of ways you can make your own dreamcatcher and it’s really easy. First get the materials you need – a lace doily (the focal point for your dream catcher), a wooden embroidery hoop, yarn, a hot glue gun, wooden or plastic beads, ribbon (you can use satin and lace ribbon to hang from the hoop) and feathers. Hair accessories can get expensive, so it’s good to know few DIY tricks on creating the kind of accessory that you can’t find at the stores or if it’s too expensive to buy it. The feather extension headband is great if you also want something boho – festival season just started, so wearing boho is totally appreciated. 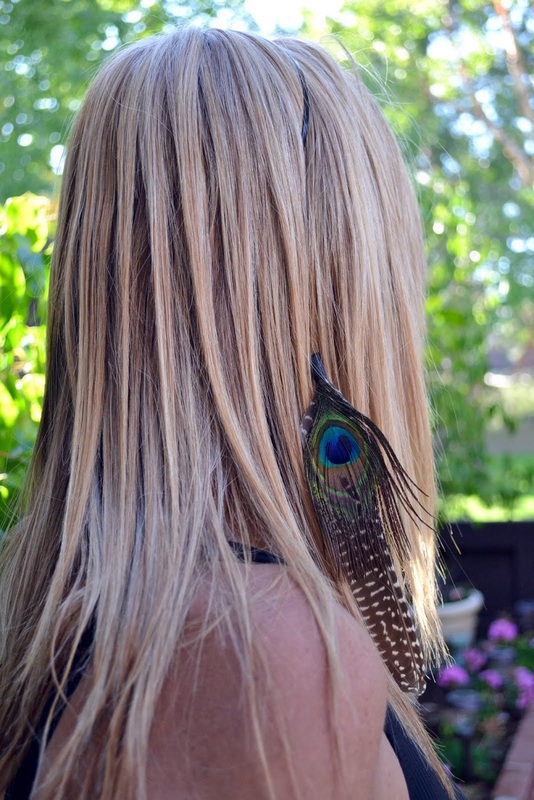 Make your own feather hair accessory with blank headband, clear thread, hot glue gun, two very small strips of fabric and feathers of your choice. Baby on the way? Here’s an idea that you can use for decorating the nursery room. This would especially fit if you’re planning on some woodland theme. One of the most popular nursery items is the mobile and there’s plenty of ways you can do that. One of those is using feathers as the main decor. For this mobile, you’ll need 2 different sized embroidery hoops, feathers, gold paint, twine, 3 different colored felt squares, scissors, hot glue, gold paint, paint brush and marker. Pillows can be such a nice detail to a living room or bedroom. Picking the right cushion can be challenging and at times even more expensive than you can allow yourself to spend, but luckily there is always the DIY way to help you make things cheaper. 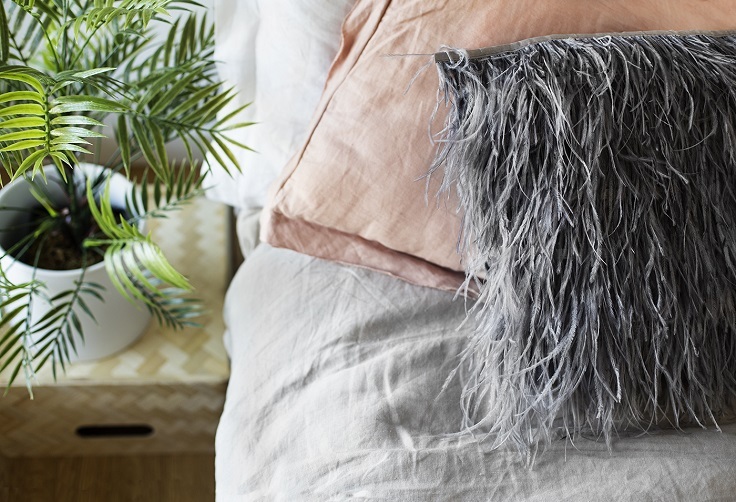 This pillow looks so expensive, but it doesn’t cost a lot – to make your own, you’ll need feather trim in color of your choice, cushion cover, cushion pad, fabric glue, scissors, some heavy items to hold things in place and card or newspaper. 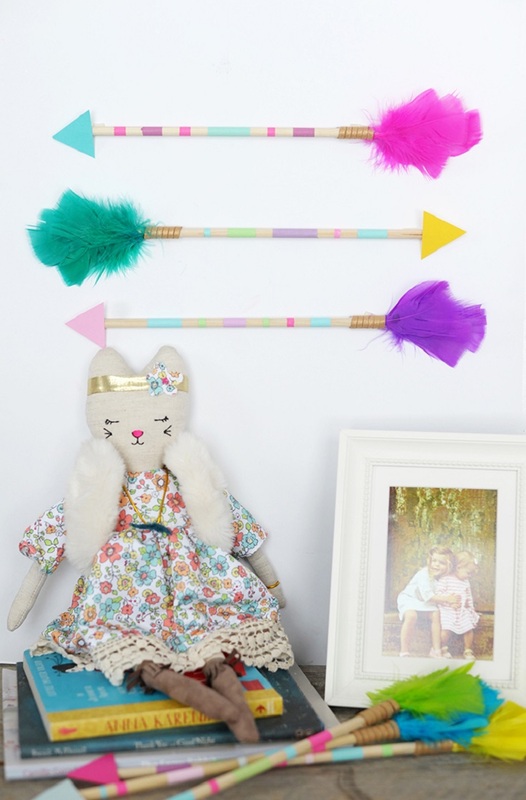 If you want to add a little bohemian touch and break the traditional rules for a kid’s room, you can totally do it with feathers. Adding this door decor will definitely make their room stand out and would look so nice. To make your own yarn and feather door decor, you’ll need stiff feathers, tight weave yarn, wooden bead, embroidery needle, alphabet stamps and scissors. 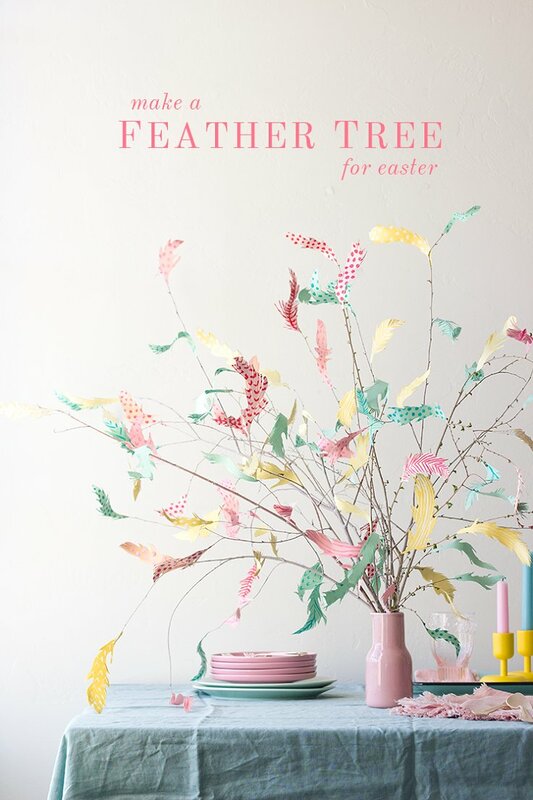 Feather trees are common for Easter, but if you really like feathers, who says that you have to wait for the holiday when you can have this decor every day? It’s very unique and will certainly add color to your room. For this project you need paper in the color of your choice, scissors, feather templates, acrylic paint in coordinating colors to the paper, branches, vase, glue gun and pencil.